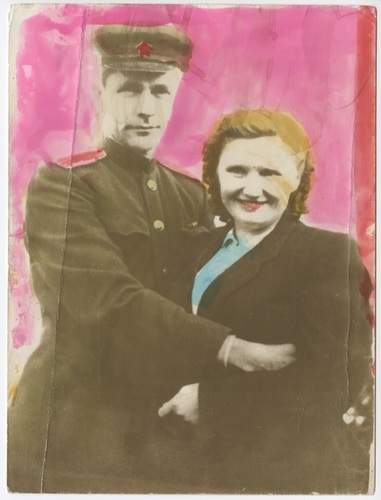 Boris Mikhailov was born in 1938. Soviet Ukrainian artist, photographer. Since 1989, exhibited in the most famous galleries and museums around the world (the most successful post-Soviet photographer 2000-2002). His career and the first photographic experiments he started in Kharkov. His works have become symbols of social documentary photography. In 2008 he became a member of the Academy of Visual Arts in Berlin. Lives and works in Berlin and Kharkiv. 1999 DrucksacheN.F.4, Boris Mikhailov, Internationale Heiner MullerGesellschaft e.V. Frans Hals Museum, Haarlen, Holland. National Museum of Art, Ocaka, Japan. Nationalgalerie in Hamburger Bahnhof, Berlin. Art Gallery of South Australia. Art Library of the State Museums of Berlin, Berlin. Art Gallery of Berlin, Berlin. Museum of Photography in Vinteture, Vintetur. Museum of Contemporary Art, Zagreb.